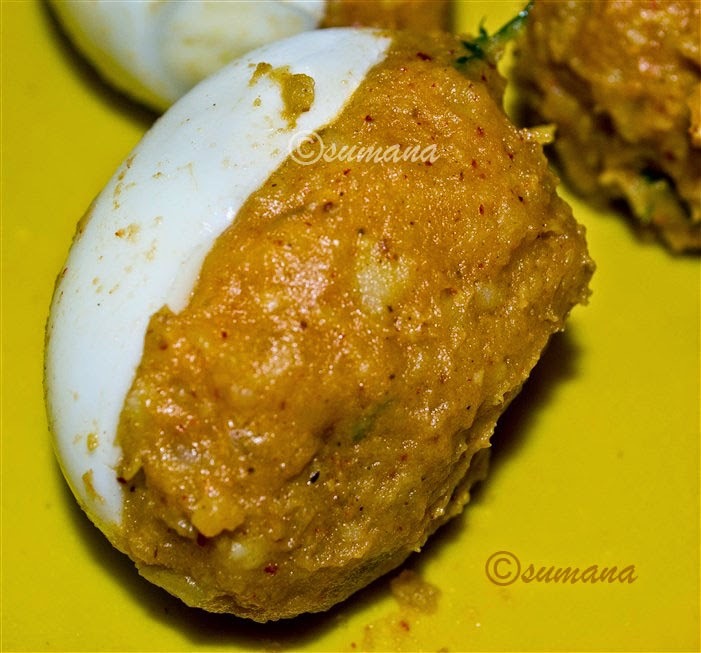 Egg devil or dimer chop is one of the most famous street foods of Kolkata. 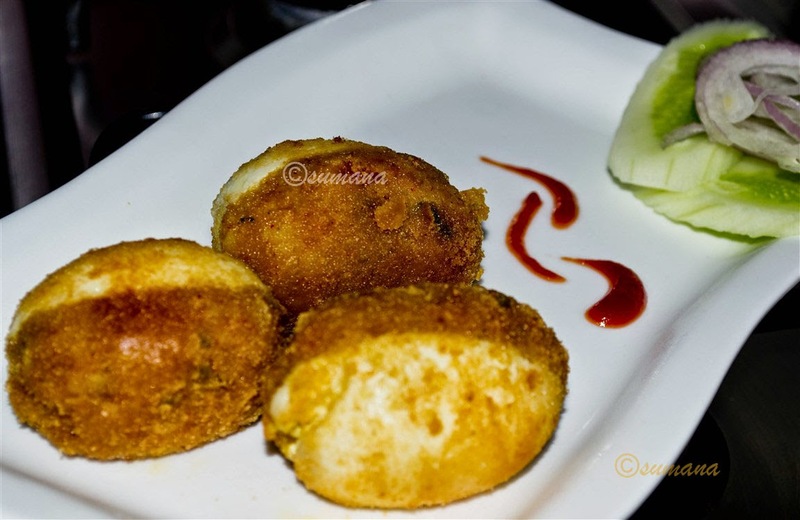 This mouthwatering Bengali snacks was also very popular in various occasions in our childhood days. Dry roast the cumin seeds and dry red chilli and ground it. Keep it aside with a lid. Then heat 1tbsp oil in a pan and put chopped onion and fry it till golden. 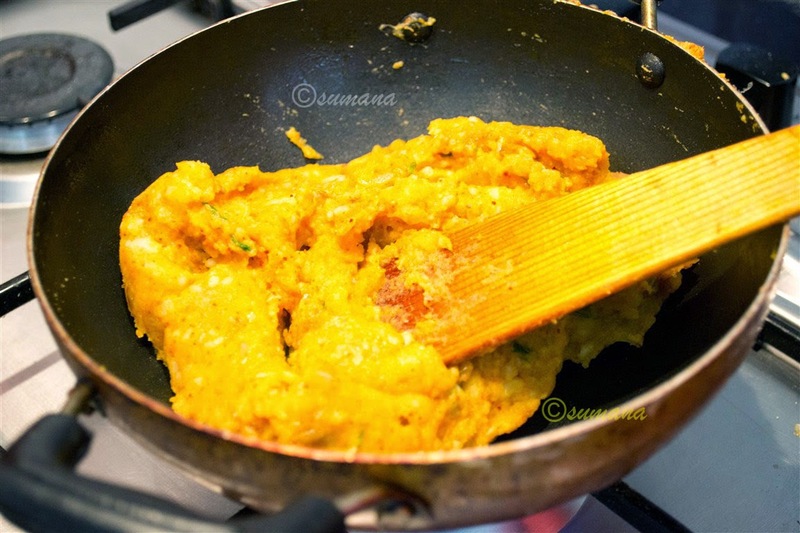 Now add ginger paste, a pinch of turmeric powder, salt and chilli powder and stir well. Then add smashed potato and chopped coriander and mix. When properly mixed add the dry roasted powder and remove from fire. Now cut the boiled eggs in half with a sharp knife. Then take a piece of egg and some smashed potato in your hand and stick them together in the shape of a full egg. This is an egg devil. Prepare devil with all the pieces of half egg. Now take a bowl and mix some corn flour and water like starch. Spread some bread crumbs in a flat plate. Then take a devil and deep into the corn flour starch and immediately roll it over the bread crumbs. Now heat oil in a deep pan and deep fry the devils till golden.